This morning I will be sharing (along with Mary Wever) the work we all have been doing in online, hybrid and face to face MAET programs at the Exploring the Creative and Innovative Instructional Makerspaces at MSU session at the Hive. 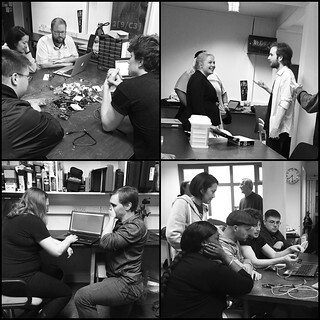 Much of the MakerSpace work in MAET centers around the course CEP 811: Adapting Innovative Technologies in Education. We don’t have our own physical dedicated Maker Space, we encourage our students to create their own “Maker friendly” environments in their schools or workspaces and to seek out existing MakerSpaces in their own communities to take advantage of these tremendous opportunities, spaces and communities.